Showcase a piece of Marshall history in your home or office with this beautiful art. 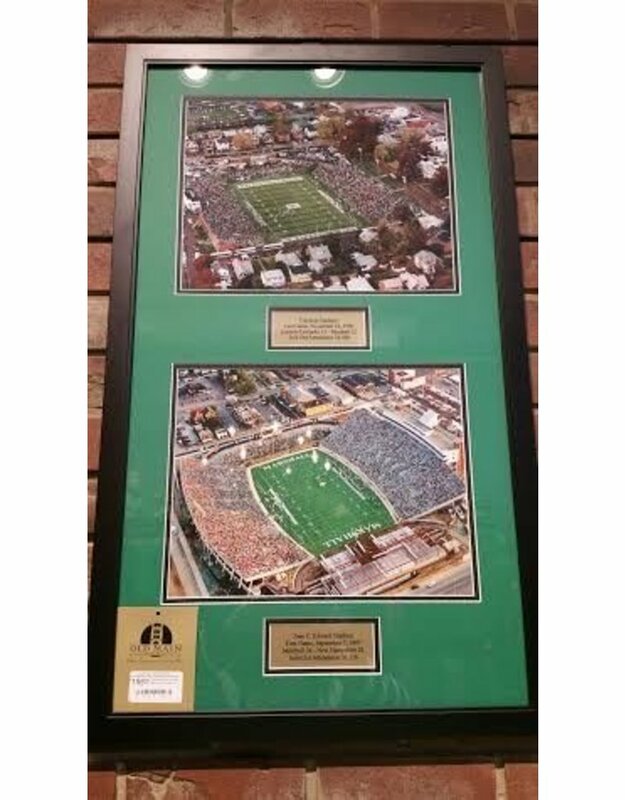 The top photo is an aerial view of the last game ever played at Fairfield Stadium on November 10, 1990 to a sold out crowd. 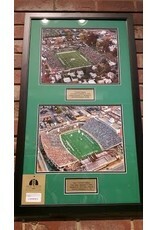 The bottom is the first sold out game to ever be played in The Joan on September 7, 1991. This piece is beautifully framed and double matted. Please note...due to the uniqueness of this piece it can not not be shipped...this item must be picked up in store.